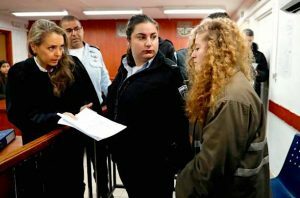 Image: Ahed in Ofer military court in February in the West Bank village of Betunia. 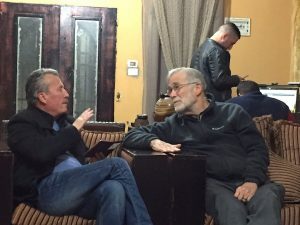 Image: Bassem Tamimi and Ray McGovern in Nabi Saleh last year. 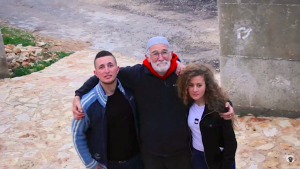 Image: Ray McGovern with Ahed Tamimi and unnamed villager after teens in Nabi Saleh fought off Israeli soldiers. 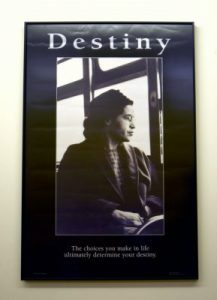 Image: Hanging in meeting room of Arab members of the Knesset. 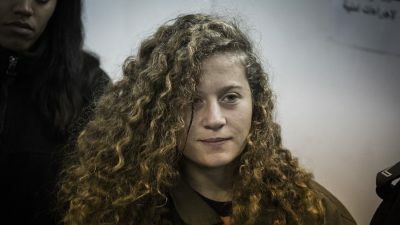 Miko Peled, son of an Israeli general and critic of Israel’s Palestine policy, shot this video on Sunday and sent it to McGovern. Ray McGovern works with a publishing arm of the ecumenical Church of the Saviour in inner-city Washington. A former Army officer and CIA analyst, he was a member of the Veterans For Peace delegation visiting Palestine in early 2017.